Remember 2008? The government said companies could make food from cloned animals. Derrick Rose became a Bull, Michael Phelps killed it at the Beijing Olympics, the Giants killed gamblers everywhere by beating the Patriots in the Super Bowl. The money that banks had been dousing in lighter fluid for years finally caught fire courtesy of Lehman Brothers. General Motors admitted it got torched for a $38.7-billion loss in 2007. Oil hit $147 a barrel. Tata introduced the Nano. 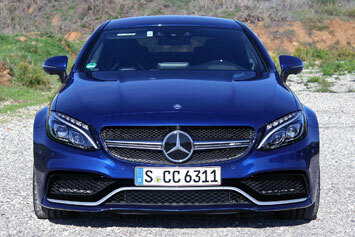 And Mercedes-Benz gave us the W204 C63 AMG, a sedan we didn't know we'd been waiting for until we drove it. 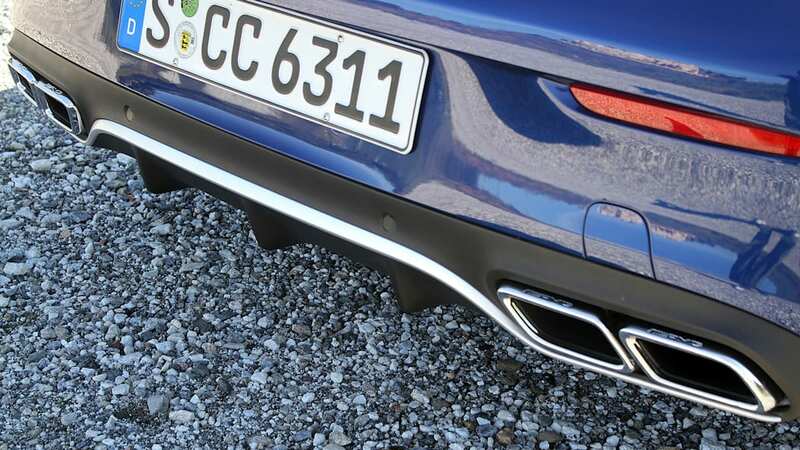 It was hammer in front and hell in back, that naturally aspirated 6.2-liter V8 with 451 horsepower and 443 pound-feet of torque swearing in Beelzebub's childhood tongue through four oval pipes jutting from a heart of black diffuser darkness. 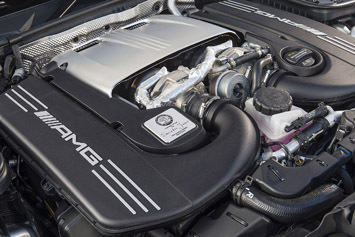 It was everything AMG had always been, howling mad in a straight line. And everything AMG hadn't been, sharp and fast through a turn. 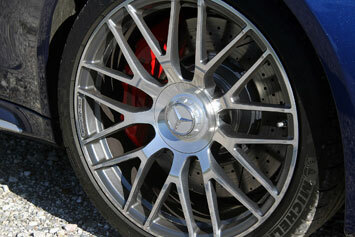 AMG booked a lot of goodwill for that endeavor, a substantial success that bred huge expectations. 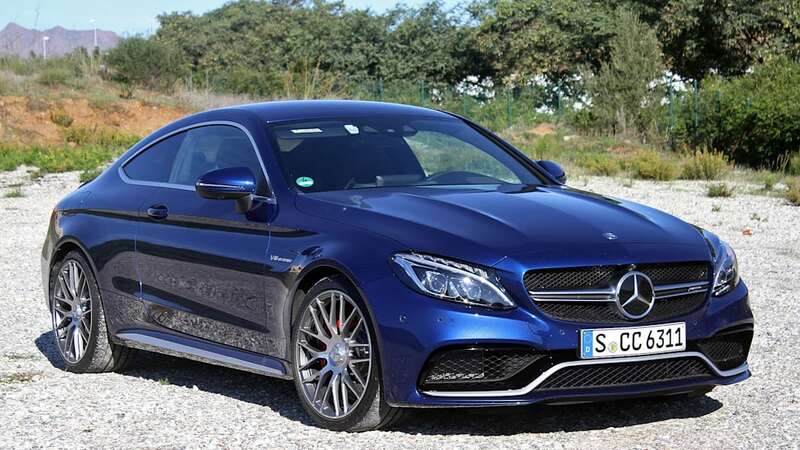 Not only would we not be surprised by the 2017 AMG C63 S, we would expect it to be outstanding. And it is. But not in the way we expected. 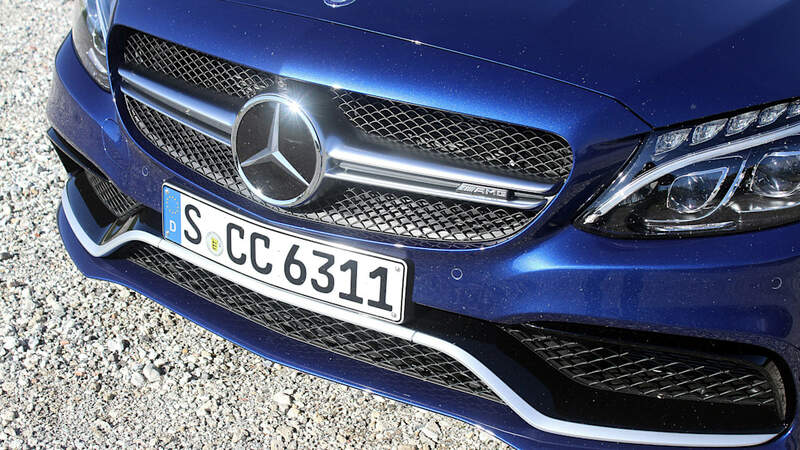 What we love about the W205 C-Class sedan is the same thing that gives us pause about the AMG C63 S: they both grew up. 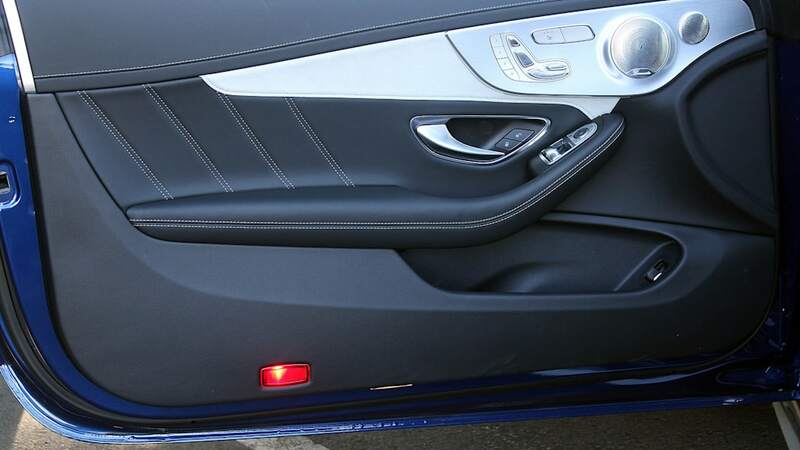 The coupe shares only the doors, roof, and decklid with the sedan. 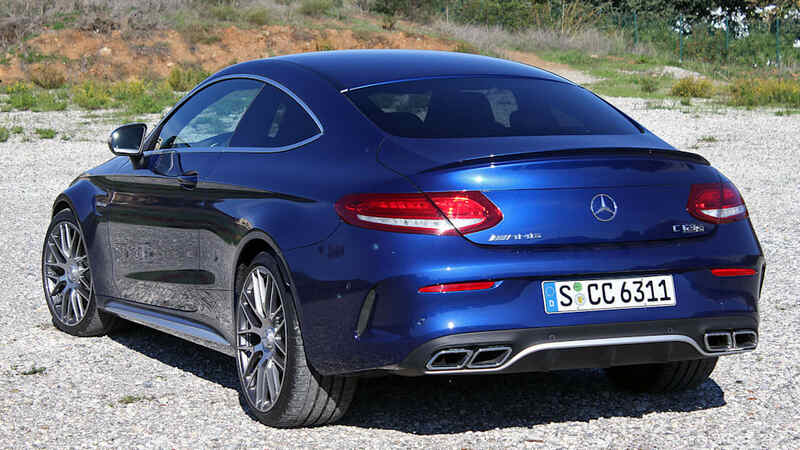 The C63 Coupe shares only the doors, roof, and decklid with the standard production car. 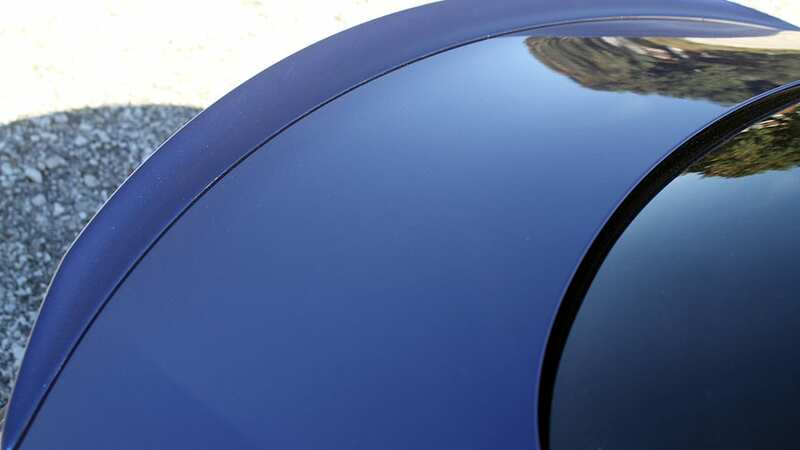 The hood is 60 millimeters longer, and there's a front splitter ready to make nasty crunching noises around town. 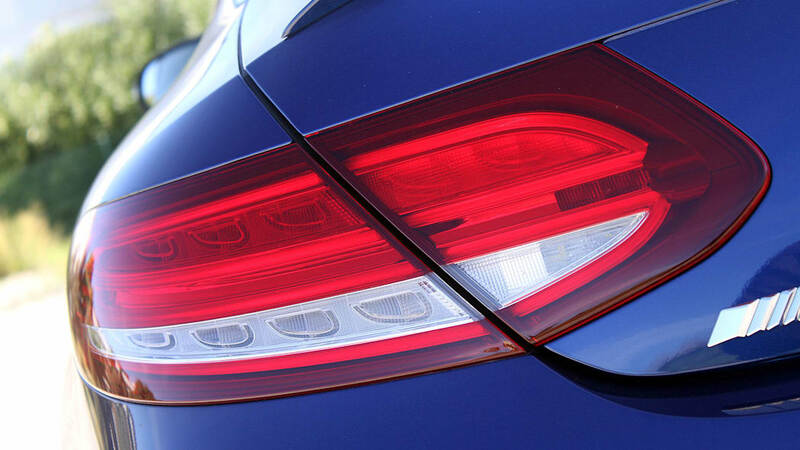 The trunk gets a trim blade of a spoiler, strengthening the design connection to the S-Class Coupe. 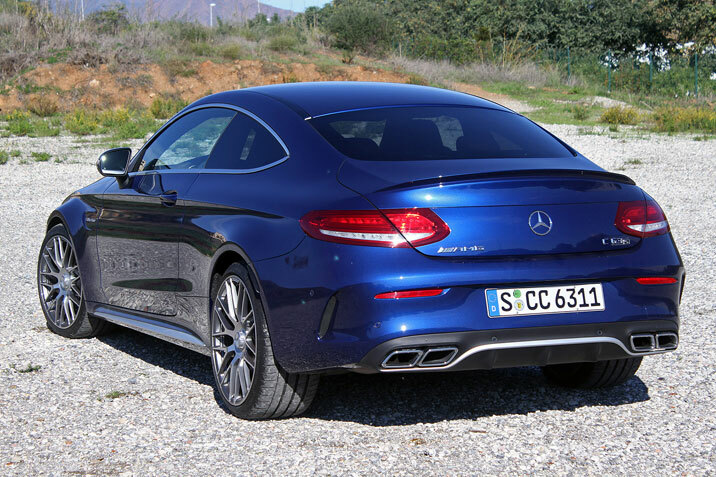 Blistered wheels broaden the C63 S Coupe by 2.5 inches in front and 2.6 inches millimeters in back, putting needed muscle on that otherwise svelte rear end and visually bolting the car to the road. Track is wider, too, and standard 19-inchers fill the wheel wells. It's a beautiful machine, and when draped in one of the 80 bazillion shades of matte silver AMG is known for, it's devastating. Our subjective take is that it's swapped personas with the BMW M4. 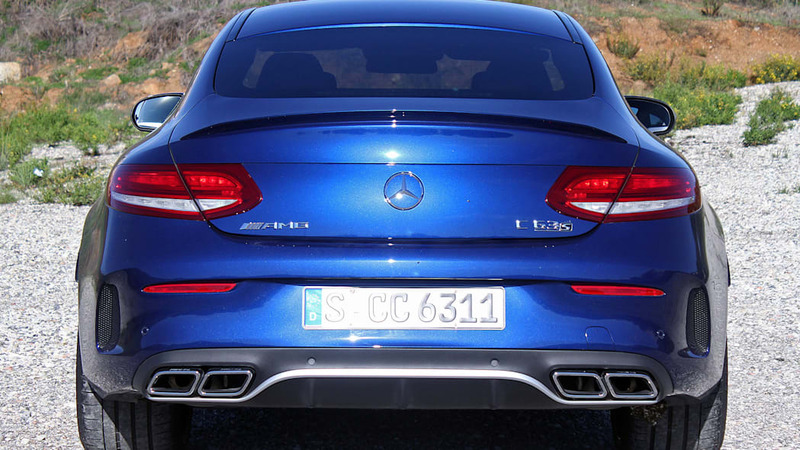 Now it's the C63 S that channels muscular grace, while the M4 takes Bluto as its spirit animal. 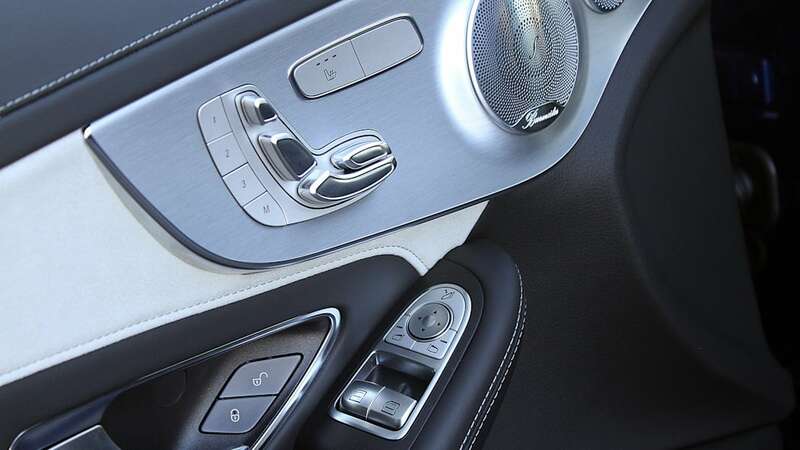 What's left to be said about Mercedes interiors, other than to give way for the heckling about the COMAND touchscreen placement? 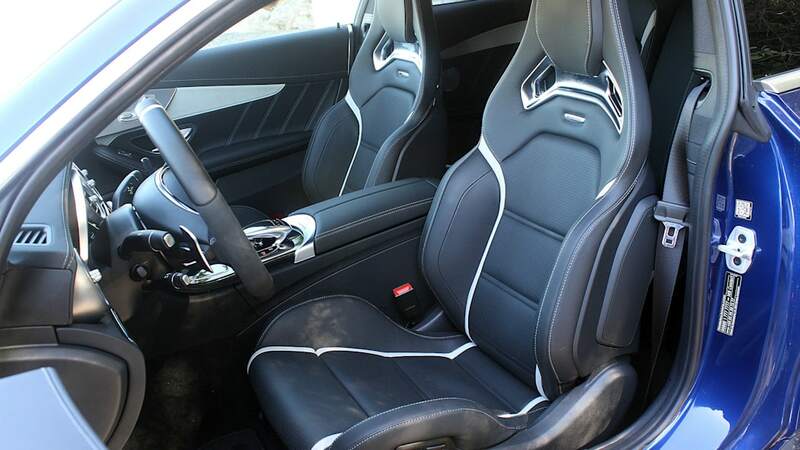 This interior does it like all the rest, with the exception of a small steering wheel with an absurdly fat rim. 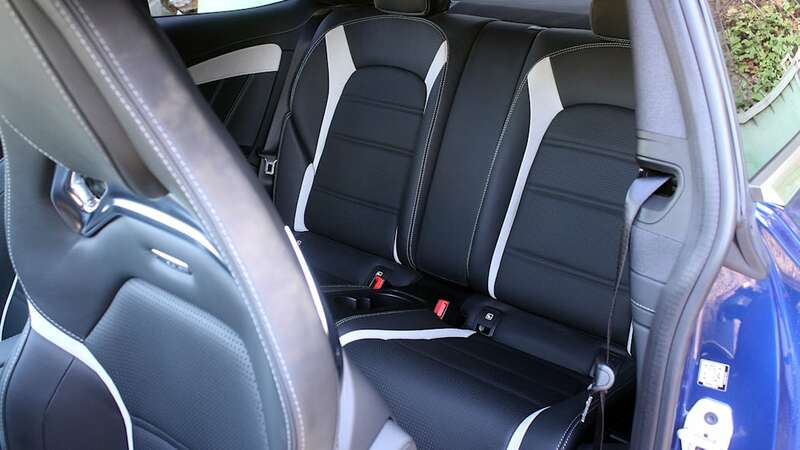 Our tip: go for the Performance Seats. They're stellar to look at and even nicer sit in. 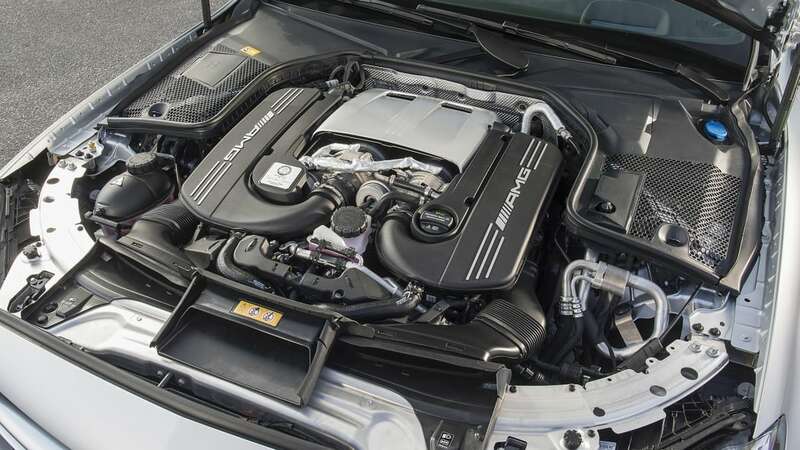 The 4.0-liter twin-turbo V8 is good for 476 horsepower in standard guise, 510 hp in S livery. For most of their lives turbos tacked onto gas engines were gateways exclusively to power, binary switches that many drivers worked to avoid flipping because they sprung their goods like a homicidal jack-in-the-box. Now they're barely perceptible except for their beneficence: more low-rpm torque, more power, more miles per gallon. 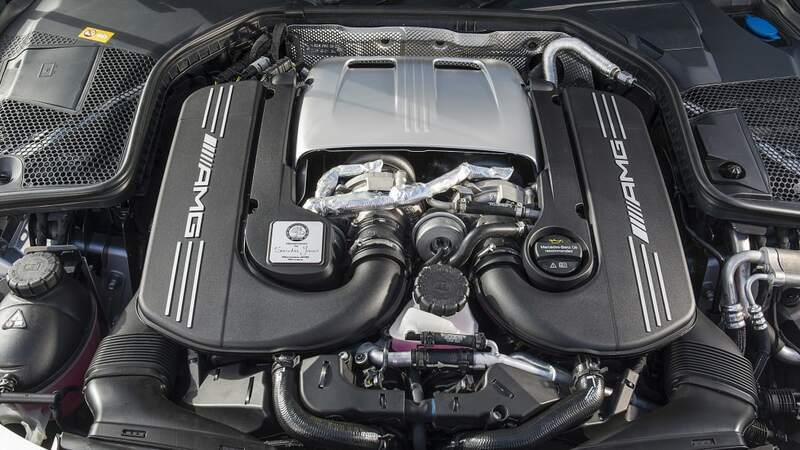 Put all that in an engine that provides the same horsepower as the 6.2-liter V8 in the previous C63 AMG Black Series, wrapped in a package that's faster than that black series in straight acceleration and on the Nürburgring, and even we professional complainers will feel guilty about griping. This motor is real good. The transmission is excellent, always in the proper gear and rifling through faster gearchanges than before. Various new bits get more of that power to the ground in the direction intended. There are new steering knuckles exclusive to this car, a model-specific 12-link rear axle with separate wheel carries and more negative camber, and a rear suspension where all the rubber bushings have been replaced by uniballs for more immediate response. 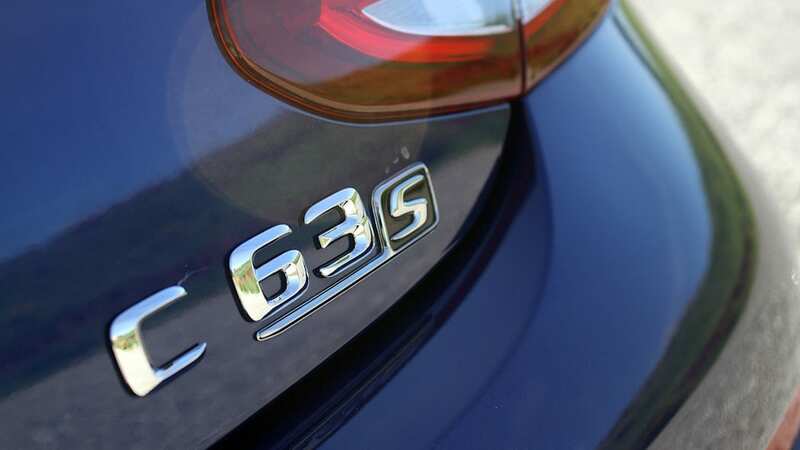 The standard C63 comes with a mechanical limited-slip differential, and the S model gets an electronic unit. Then there are the tires, staggered fit optional with 255/35 R19 in front on nine-inch-wide wheels, 285/30 R20 in back on 10.5-inch-wide wheels. Overall, that's more rubber than on the 2012 C63 AMG Black Series. 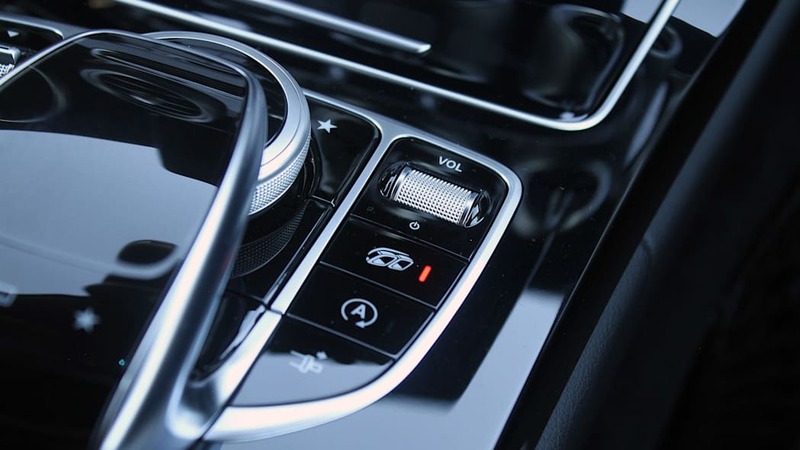 More sound insulation, structural reinforcements, and three-mode dynamic engine mounts help shield the cabin from the rough-and-tumble. Race mode gets the C63 S bobbing on its tiptoes, ready to fight. Growling around the Ascari circuit, all of the coupe's salient traits make themselves known. 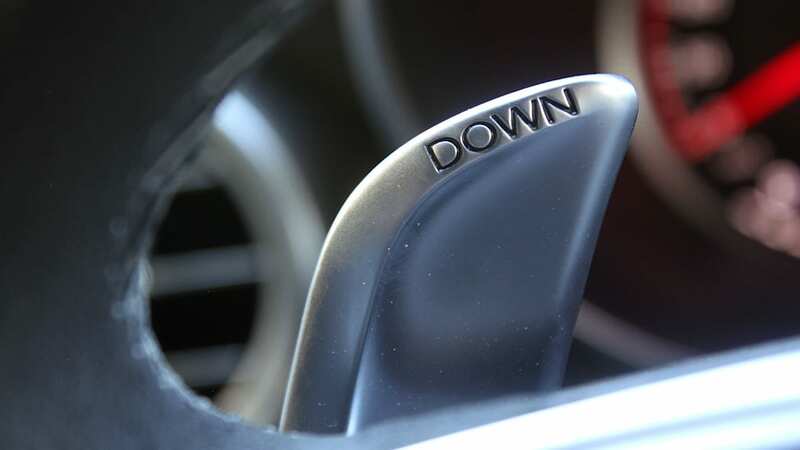 Focus on your slow-in fast-out and the front wheels will put the car exactly where you aim; get too eager on turn-in and you'll need a quick stab on the brake to get the car to pivot. The transmission is excellent, always in the proper gear and rifling through faster gearchanges than before. 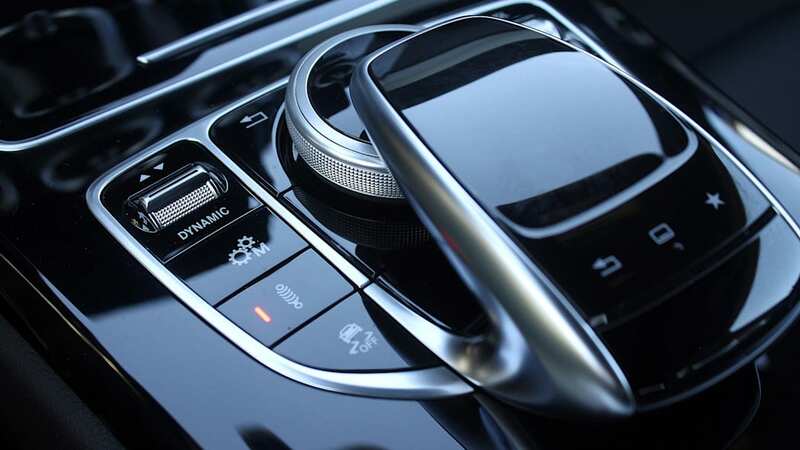 The power map is different if you shift for yourself versus letting the car shift for you – in automatic mode, stomp on the throttle and the engine unloads the works immediately. In manual the delivery is linear, the turbos easing their power into the proceedings. The Sport+ handling mode will give you plenty of latitude to drift all four wheels or flick the back out as you like. If you get a corner wrong enough to induce corrective help, though, the ESP will take the toys away for so long that you'll remember not to let it happen again. 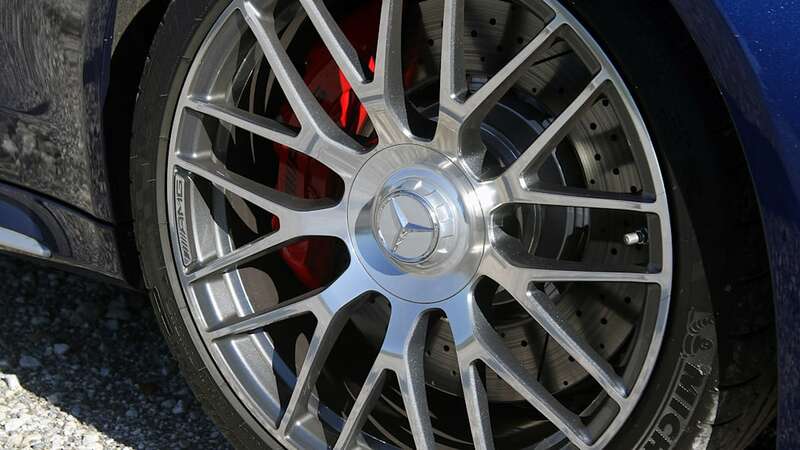 The optional carbon ceramic stoppers, 15.8-inch rotors up front, 15.4-inches in back, encourage tiny brake-zones. And holy cow is it loud. It feels plush, too – and we're using "plush" as a euphemism for "not-exactly-light." 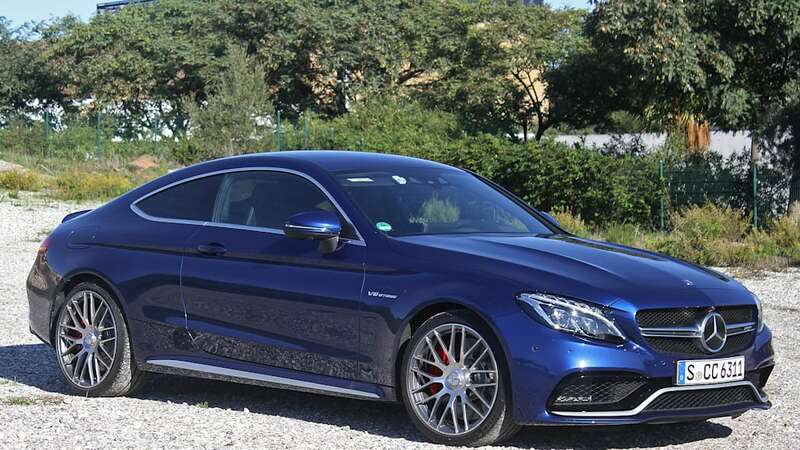 We'll have to wait for US-spec numbers, but the Euro-approved kerb weight without driver and luggage, with a 90-percent-full fuel tank, is 3,795 pounds (the standard C63 is 3,762 pounds). 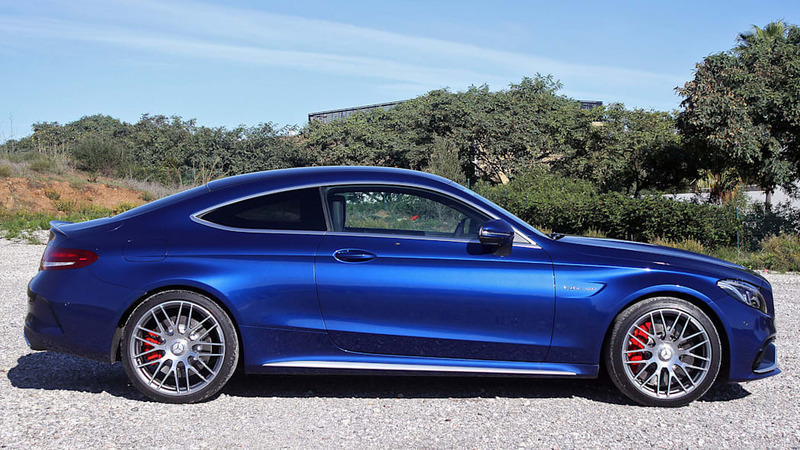 Keeping in mind that we're comparing Euro-spec to US-spec, that's 25 pounds more than the 2012 C63 AMG Black Series we reviewed and 21 pounds less than the standard C63 AMG coupe. 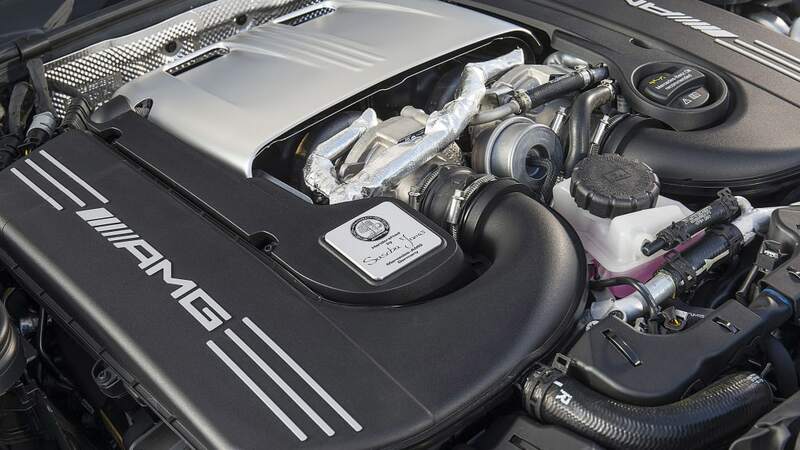 Since you're probably keeping track, the US-spec BMW M4 with an automatic rings in at 3,585 pounds. 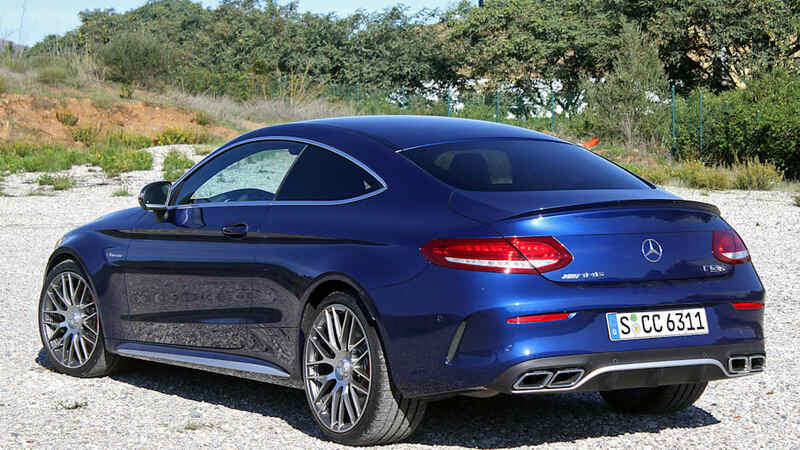 The Mercedes is as quick as that M4. But it's plush, too. We'd take it over anything else in the segment. 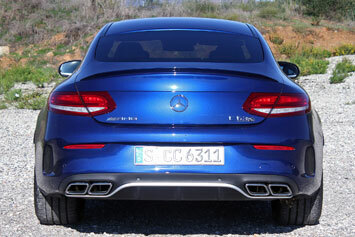 There's no complaint about the extra padding on the Spanish roads of our test route. Whipping the C63 S through the tight, severely-speed-limited countryside is like using a Heckler & Koch as a three-hole punch. Where ultimate speed is superfluous, the ladling of bonus luxury keeps you company while you slather rubber on low-speed corners at heart-warming slip angles. 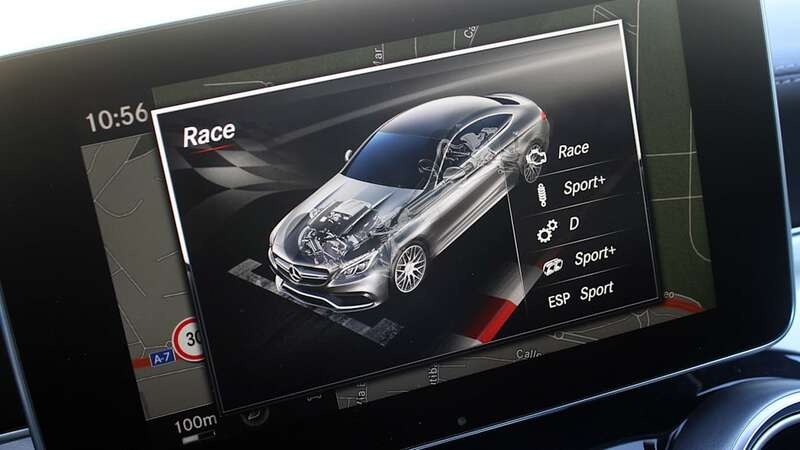 When the road and the speed limit do open up, the coupe's adaptive damping works in every mode – right up to Race – so it won't even be bothered to lean through sweepers or pretend to break a sweat. 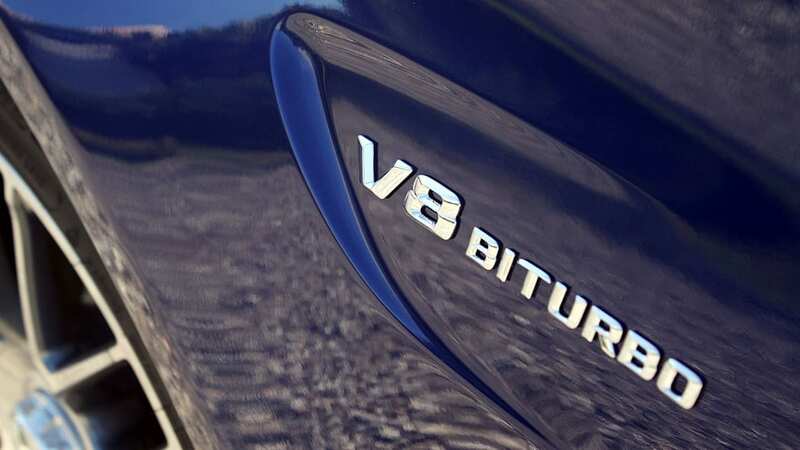 The 2008 C63 AMG was an electrifying car in trying times, and over its life the 6.2-liter V8 enjoyed a vampiric freshness while the car around it aged. 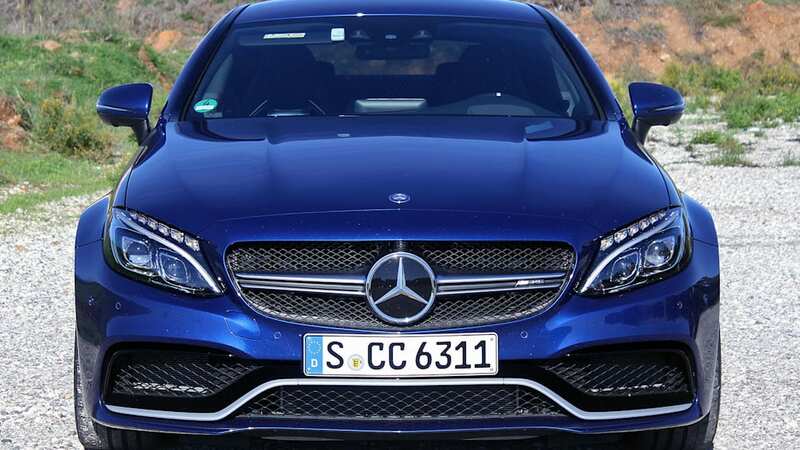 The Internet still echoes with eulogies to that powerplant; conversely, look at the current C-Class Coupe on the Mercedes website now and it severely clashes with the new design language. 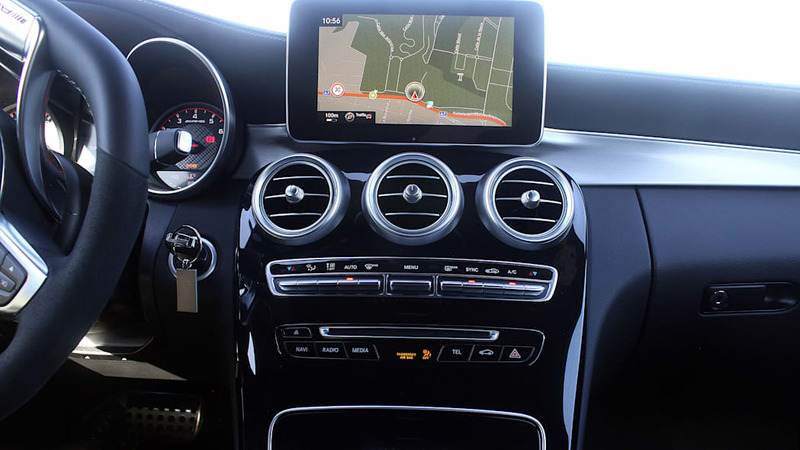 It isn't the 6.2-liter we miss specifically, it's the whole raw bundle of that car – you followed a week of the C63 AMG with a week of rehab for over-stimulation, and you followed that with more hair of the hound that had you as rabid as it was. 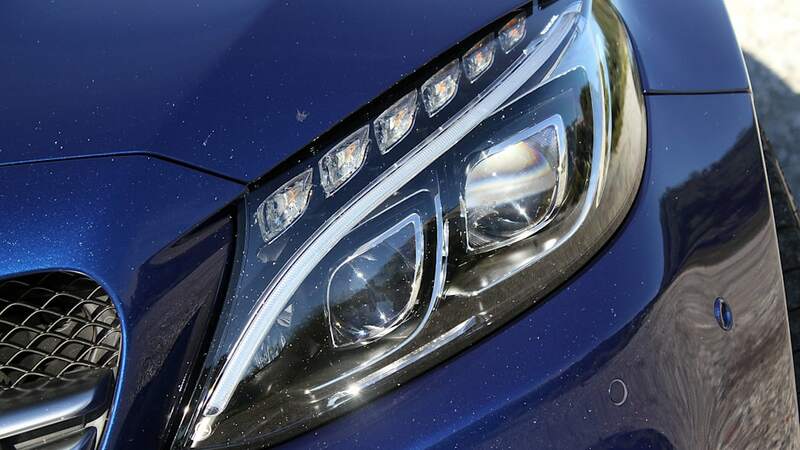 When the comparos come we'll find out if the new C63 AMG S can wield the greater-than sign in its battle against the M. Even if it can't and it falls short by a hair, for its enormous capability as well as the purely subjective reasons of those looks and that interior, we'd take it over anything else in the segment – even if it is all grown up. 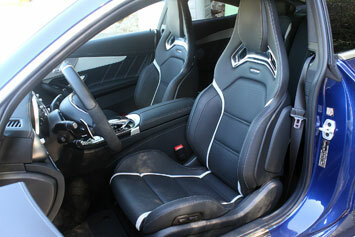 Well, more grown up – underneath all the drapery, there still, thankfully, lurks a rambunctious loon of a car.